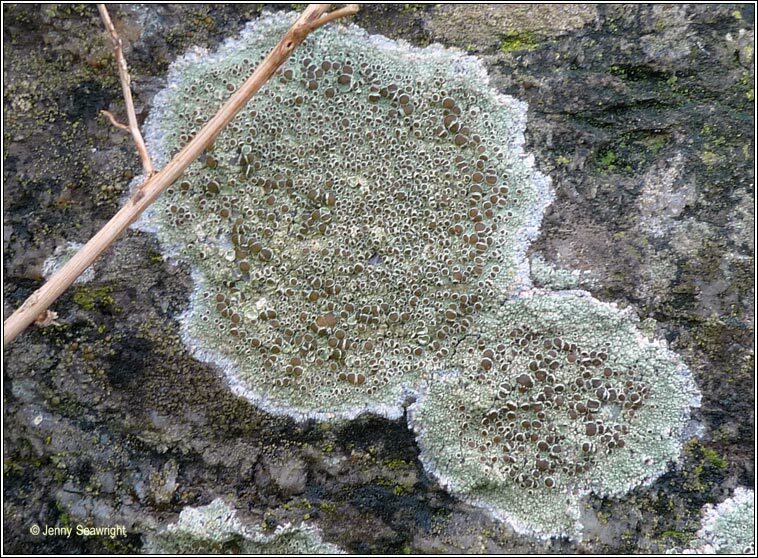 Photos: On stone walls and concrete post. Co. Cork, SW Ireland. 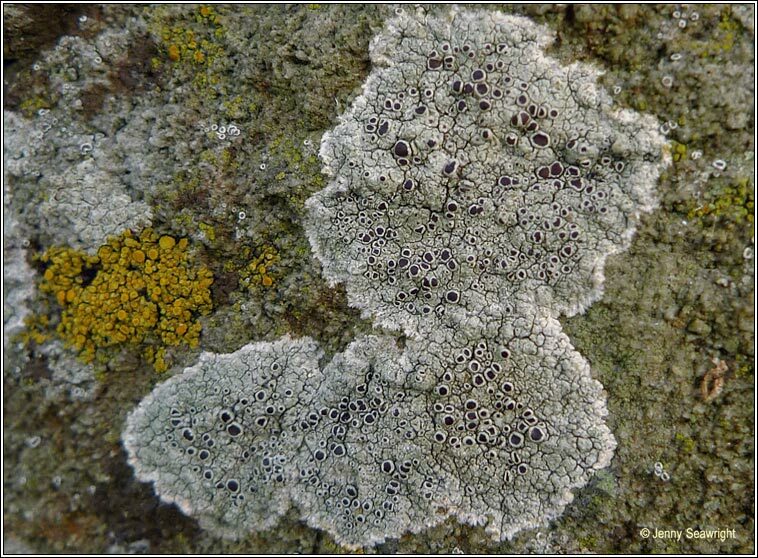 Greyish-white, warted or areolate thallus usually with fimbriate white prothallus. 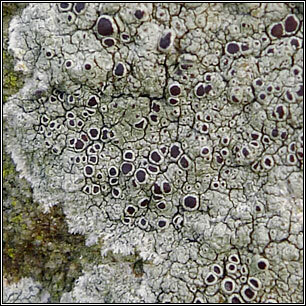 Large chestnut to dark-brownish apothecia are crowded in centre of thallus. Smooth margins, contorted with age. 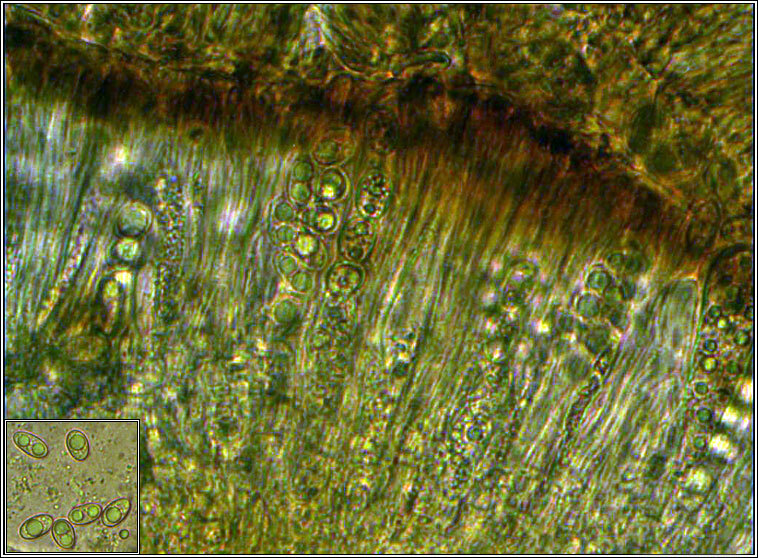 Asci 8-spored, the spores simple, 10-14(-17) x 6-8.5(-9) µm. Microscope photograph below. 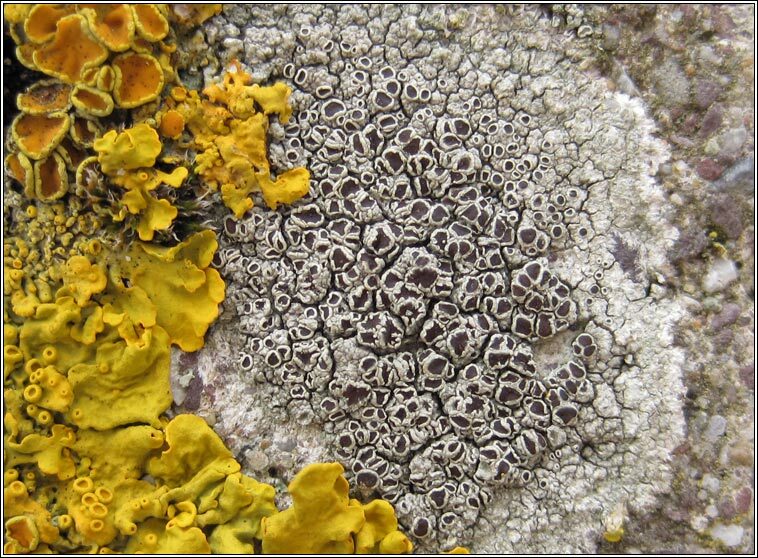 Frequent on basic to calcareous stone and walls, also found on nutrient-enriched acidic rocks and wood.